Very friendly host and staff. The location of the apartments is very good, close to Hania and a good starting point to discover the west and the south of Creta. The main street nearby is full of restaurants, bars, shops and cafes. The apartment was very comfortable. Our room had a terrace where it was possible to sit facing a beautiful garden. Great location. Owner was extremely helpful and kind. The apartment was very cute and decorated. It also has everything such as kitchen, sandwich maker, plates, cutlery... very clean and new furnitures. We stayed only one night before we flew home from Chania. The property was nicely furnished and very clean. There was also a nice area where we could eat out and a garden. Pantelis was very friendly and welcoming. Many thanks. Kostadinos the owner contacted us a day before our arrival asking us if we would need a transfer from the airport. He was always there around the house in case we needed something. The owners and the staff are very nice and friendly. We loved it to sit outside and enjoy the view to the amazingly beautiful garden. The apartment is very nice and clean, everything looks new. I can only recommend it and say ευχαριστώ πολή. I will definetely come back. - lovely place with amazing garden and balcony, we spent there lots of great time gazing on stars & flowers; - very welcoming owner! Always absolutely ready to help & support; - comfortable room & kitchen; - many cafe for breakfast around; Waves was our favourite; - beach is really in 5 min; - supermarket is in 2 min; - own free-of-charge parking was very important for us; it was always a place for our car; - location is perfect - right in the center. Cool rooms due to placement in the basement. Good A/C! Lock in a great price for Stamatakis Boutique Studios – rated 9.5 by recent guests! Located in Platanias, Stamatakis Boutique Studios offer accommodations with Cretan Sea, garden and mountain views. Free WiFi access is available in all areas. The nearest beach is 1,000 feet away. Opening to a furnished balcony, this air-conditioned studio comes with a flat-screen TV. It has a kitchenette with mini oven and a refrigerator. At Stamatakis Boutique Studios you will find a spacious garden. 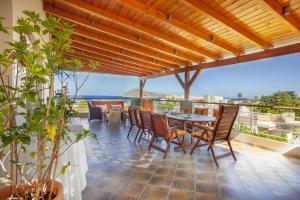 The property is 1,300 feet from Platanias Square and 1,650 feet from Agios Dimitrios Church. Chania International Airport is located 13 mi from the property. Free private parking is possible on site. 뀐 Located in the top-rated area in Platanias, this property has an excellent location score of 9.4! When would you like to stay at Stamatakis Boutique Studios? 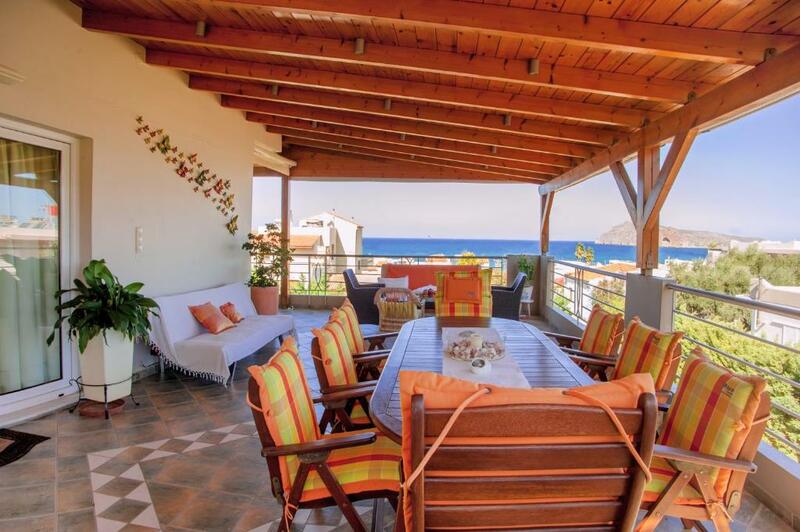 Opening to a furnished balcony with Cretan Sea, garden and mountain views, this air-conditioned studio comes with a flat-screen TV. It has a kitchenette with mini oven and a refrigerator. Free WiFi is provided. Feel like home... enjoy Cretan hospitality. Raki Relaxation & Happiness! Fantastic location with easy access and short walking distances. Tasty & fresh local red wine..our treat. Ideal for couples and families. Fantastic garden with fruits, blooming trees and vegetables. Safe area for children to play and get in touch with nature. 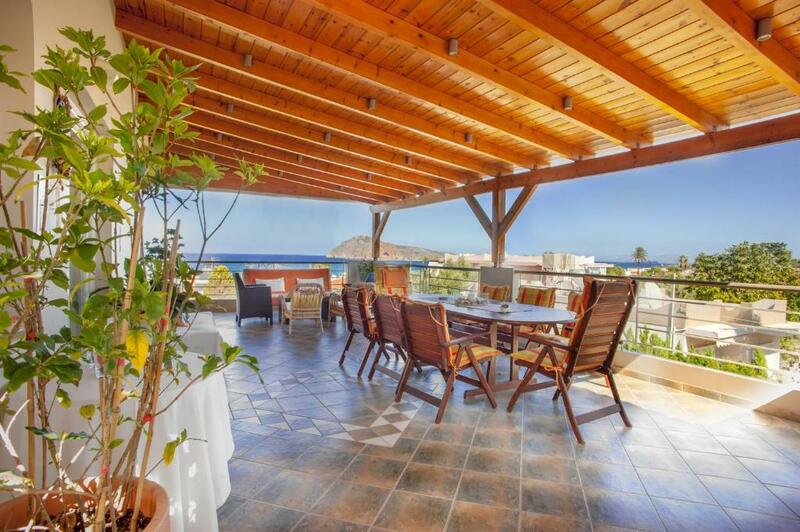 Sea view & walking distance to the beach - 300 meters. Nice fully equipped roomy and clean studios at our second year of operation. In love with the Sea... the Sun...and nature. The location is ideal and combines both Cosmopolitan and alternative lifestyle. Classy bars, spa, clubs, pubs and restaurants harmonically combined with beautiful sandy beaches and natural spots to visit. You can enjoy a relaxing walk next to ancient Iardanos river and daily trips to the opposite islands Natura protected (Thodorou and Thodoropoula) where you can see rare animal species like Kri-Kri, Eagles, Hawks. Visit the historic museum of second World War and enjoy the breath cutting view from top of the hill. House Rules Stamatakis Boutique Studios takes special requests – add in the next step! Please note that cleaning service is available daily except from Sundays. 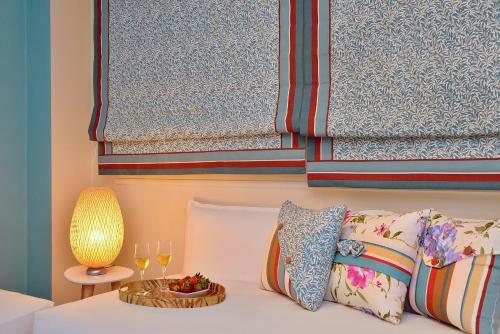 Bed linen and towels are provided every 3 days free of charge. For any additional change of bed linen and/or towels there is an extra cost. Please inform Stamatakis Boutique Studios of your expected arrival time in advance. You can use the Special Requests box when booking, or contact the property directly using the contact details in your confirmation. Getting up the steep hill to the apartments was a bit tricky. Clean place, comfortable beds, and a great host! The was no frying pan in the kitchen. - it was strange that towels are chenged only once in 3 days and surprise that cleaning is not provided by Sundays. Water dispenser (for the garden) made our clothes wet during the weekend mornings. There wasn't anything negative. We loved our stay. The studios are clean, modern and well equipped. The location is peaceful and set in a well maintained beautiful garden, with parking spaces. The beach is aprox. 6-8 minute walk. It's only a 2 minute walk to the nearest supermarket. There are also lots of bars and restaurants close by on the same main road as the supermarket. There is also a very well stocked Lidl shop, if you wish to buy cheap food and alcohol. Just turn left on the main road and it's about 1km away. The owner is fantastic and gave us a bottle of homemade wine and raki on arrival. The cleaner, Roxanne, is wonderful and very helpful. I really recommend this place. Everything was perfect. The apartment was very clean, beautifully decorated and overlooks the blooming garden. It's 5 min walking to the beach, shops and all attractions. The owner is very friendly and helpful. He helped us to urgently find a taxi to Heraklion ( and for a good price!) when the taxi we ourselves arranged in advance did not arrive on time..